Well, Essen's in full swing and here we are stuck stateside. 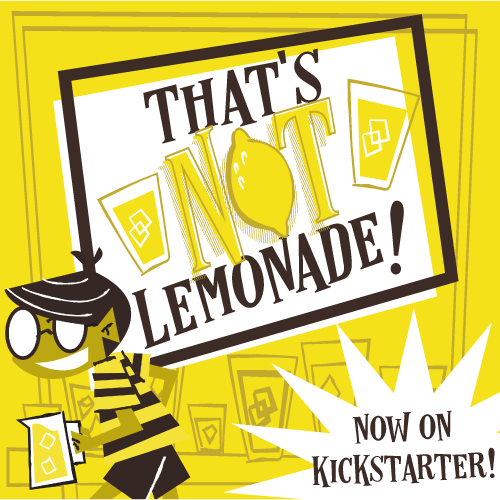 But the gaming community moves forward, and Kickstarter still has lots of cool projects to offer, so let's jump in! Who knew our second president was a game designer... or still alive for that matter?! Oh. Different Adams... Anyway, Cartography is a two-player tile-placement game, and will have you placing tiles and creating a map while you do so. You're trying to claim land for yourself while conquering land claimed by your opponent. Based on the ancient game Go, Cartography looks to feature some pretty top notch components, and is definitely worth taking a look at! We'll be previewing this title very soon! So be on the lookout for that! A board game version of tower-defense games, Gingerdead House is described as Grimm's Fairytales meets Plants vs. Zombies. It plays with 1-4 players, and looks to be a mid-weight game--not exactly a filler but maybe not your main event for the night, either. The art and graphic design looks fun and light--a little twisted but not overtly horrific or mature in nature. With its fun theme and familiar mechanics put into tabletop form, this might be worth a look! 8 Planets is a sci-fi themed strategy game in which you'll be captaining a space ship in order to save humanity and populate the other 8 planets in the solar system. You see, a giant asteroid has hit the moon and has driven it closer to the earth causing rising tides and the ground to crumble. According to 8 Planets lore you'll have about 6 years to evacuate the planet, which means there's probably 6 rounds to score as many VP's as possible and be the hero of all humanity. Give this one a look if you enjoy sci-fi strategy! Well that's going to do it for this week's KSW! Thanks as always for reading, and please let us know what you're backing or what you're launching! !